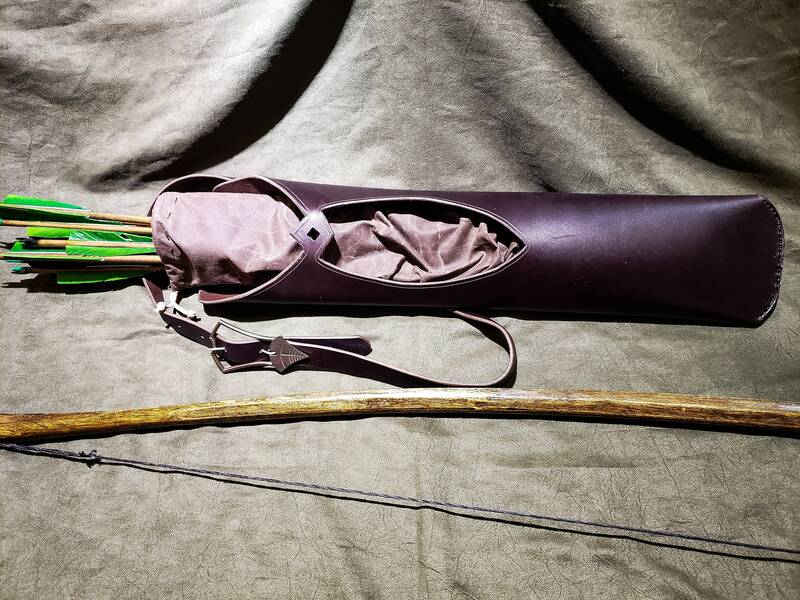 This quiver is inspired by the quivers used by the Ithilien rangers in the Lord of the Rings. BE ADVISED* each quiver comes standard as a right handed draw, left handed is available, let me know in the comments when you order, and I will set it up Left Handed for you at no extra charge. 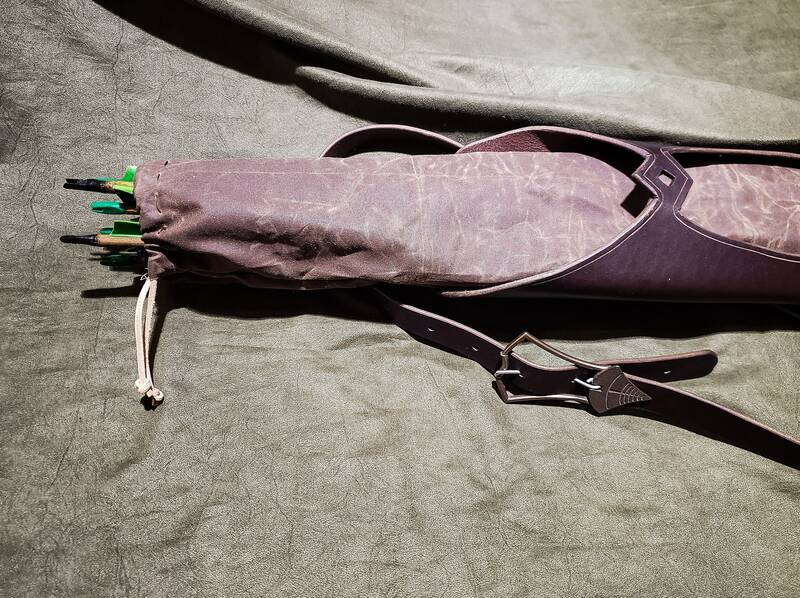 Each quiver is made out of 10-12 ounce latigo cowhide, and comes with an oilcoth arrow bag that slides into the quiver to protect your arrows and keep them quiet while stalking the woods. 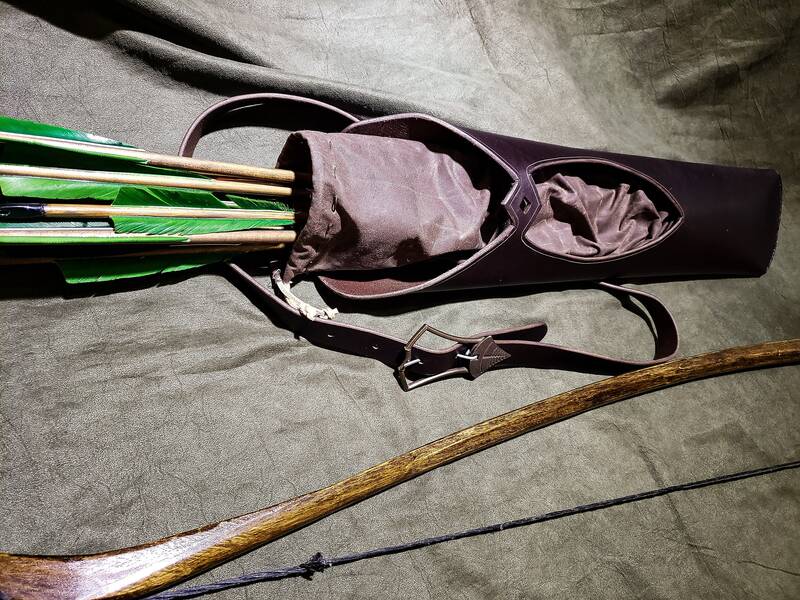 Each quiver features a generous opening that will hold between 12-24 arrows. 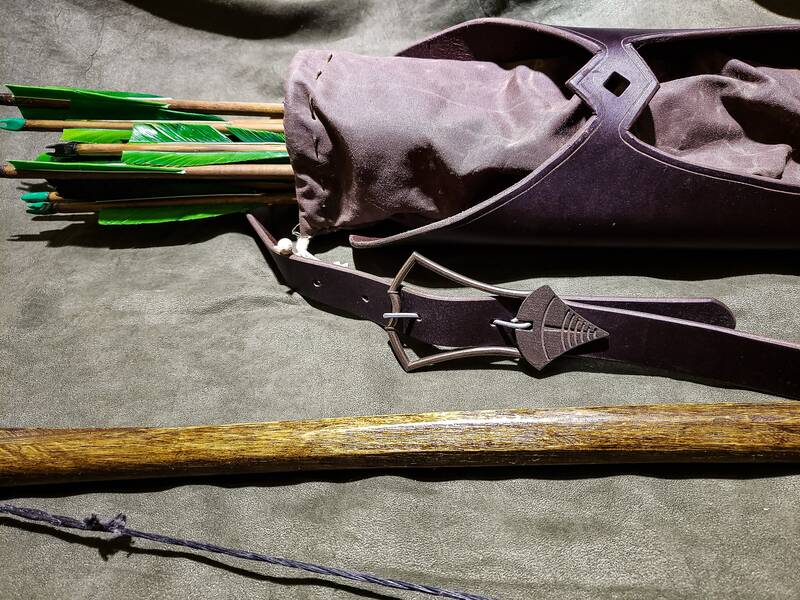 Each quiver is designed with 31" arrows in mind, but if you use longer or shorter arrows, let me know and I can adjust it to better suit your needs. 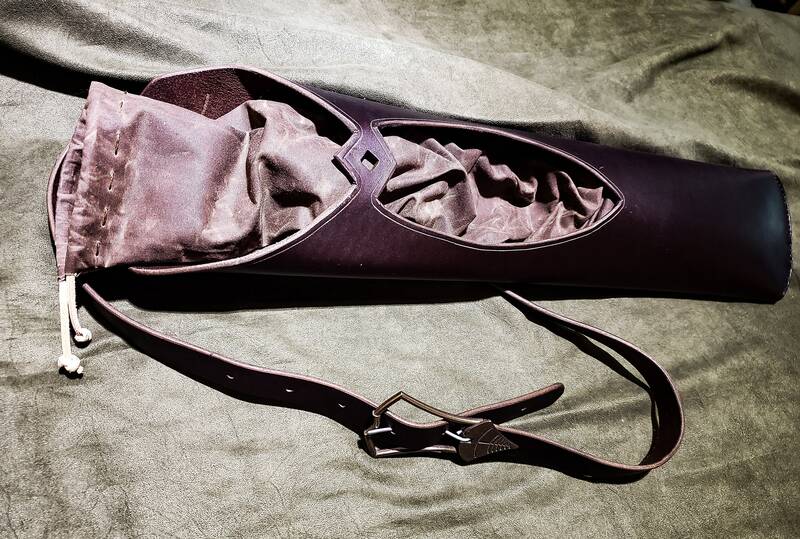 You have the option of the quiver coming with a standard square strap buckle, or with a bronze colored buckle modeled after the buckle used on Faramir's quiver. 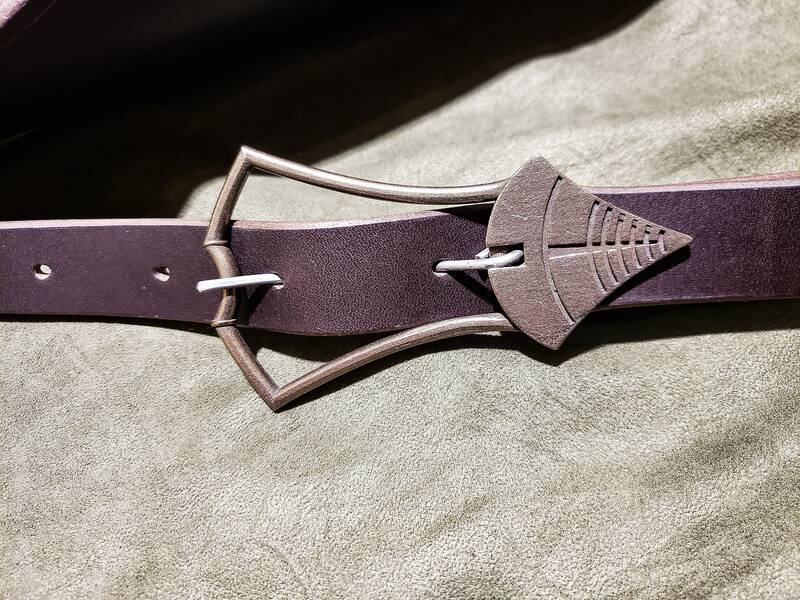 Be advised that if you choose the Faramir buckle, it may take an extra week to produce, as each buckle is made to order. As a standard, the oilcoth included with be a "medium brown" color. If you'd like a different color, please message me and we can go over what's available. 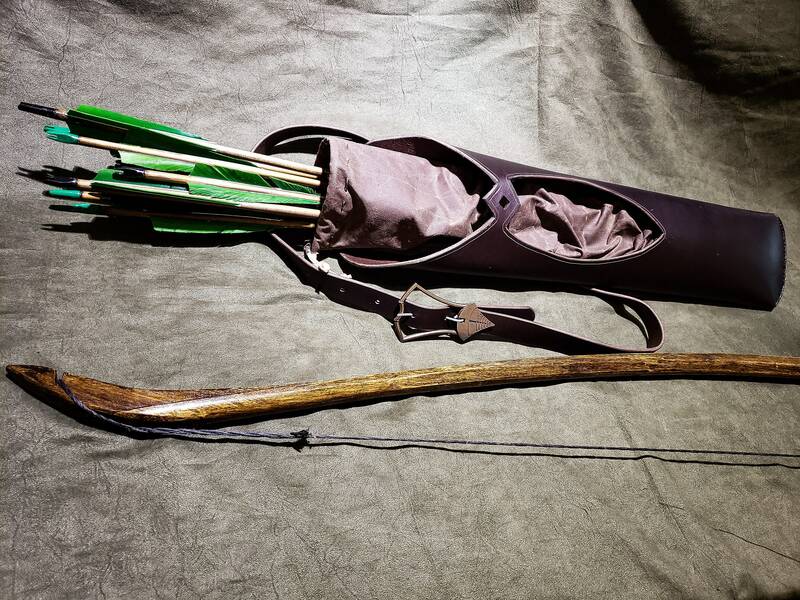 Naturally, the arrows and bow are not included with the quiver.